We are offering a wide range of Duplex Boards that is fabricated using high grade raw material. 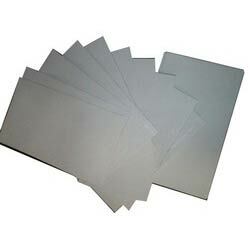 These Duplex Boards are extensively used in diverse industries for different packaging and printing purposes. Our Duplex Boards are widely acknowledged for moisture resistance, excellent stiffness and smooth surface. These Duplex Boards are compatible with offset printing.